Sun dried cherries wrapped in delicious chocolate. Very decadent. One of Mr. fudgyboombahs favourites. A family favourite. 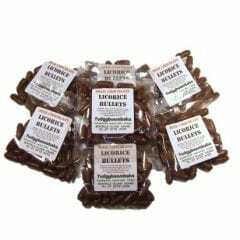 We all love Milk Chocolate Bullets. 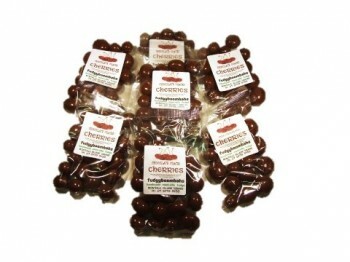 But did you know they also come coated in Dark Chocolate – your favourite just got even better! 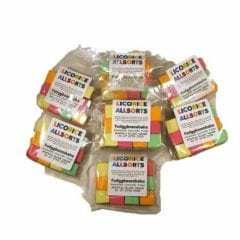 Top quality Australian made Licorice Allsorts, just how you like them. 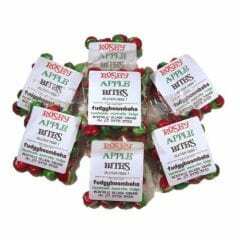 Remember Rosey Apple Pops? Here’s a handy pack, but bitesize. And no stick!